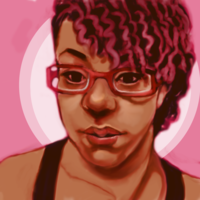 Mellissa Redman earned her Bachelor's Degree in Painting and Drawing from the University of Akron. A native of Akron, Ohio, Mellissa volunteered her time or artwork to the local YMCA and YWCA chapters, the University of Akron Ballet Institute, the City of Akron, The Chapel: Akron Campus, and the Akron Children's Hospital. She now resides in Grand Rapids, Michigan where she recently recieved a Master's Degree of Fine Art in Painting at the Kendall College of Art and Design. Though she works with water-based media, her paintings also include drawing, printing and collage. Dean’s List at the University of Akron, 2007-2012. National Society of Collegiate Scholars, 2007-present. Artwork at ABVI, Grand Rapids Association for the Blind and Visually Impaired. Grand Rapids, MI. Blurring the Edges, Dubuque Area Arts Collective. Dubuque, IA. Painting Now: National Exhibition. Tuscon, AZ.